Yesterday I heard a discussion about the environmental and economic situation on the radio. One speaker laughed and said we’ll all be stocking up on gold and backyard chickens. I don’t have any gold, but I do have backyard chickens. As do many of my rural neighbors. However, I know that gardeners who live in town on small lots are also setting up backyard flocks. The town ordinances allow up to ten chickens. No roosters! 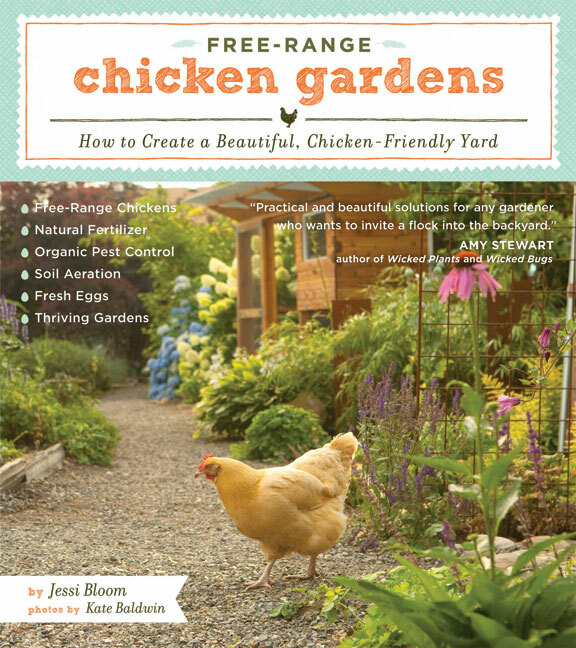 If you don’t already lust after your own flock of pretty egg layers, a browse through the beautiful pages of Free Range Chicken Gardens by Jessi Bloom with seductive photos by Kate Baldwin and published by Timber Press will send you off to find the Murray McMurray Hatchery catalog. A copy of Free-Range Chicken Gardens, of course. 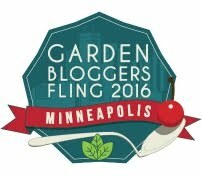 All you have to do is go to the Timber Press website and sign up for this great prize. I haven’t had a chance to read the whole book, which is dense with information about chicken house design, predators, keeping your garden safe from the chickens and beautiful photographs of charming gardens and all kinds of elegant chickens, but I wanted to give you plenty of time to enter your name before the February 17. Just think what it means to have your own small chicken flock. Delicious eggs with marigold yellow yolks. And wonderful manure for the garden. Feed yourself and feed your soil. I would LOVE to have chickens. Now if I could only convince my husband. I will probably have to have this book just because I love to read about chickens. The next best thing to having them. I am smiling that when others are already going backwards because free-range chickens are systems of the old culture, we in our provinces are still at it. Our free range chickens are real free range in the truest sense of the word, they feed themselves on their own, we don’t give them feeds. We also don’t give demarcation on our property boundaries, i wonder how the chickens know where to return to roost at night. They just roost on some shorter trees around our house. But we have some improvised nests for them to lay their eggs. Lisa – The book is great to read even if you are just intersted in gardens – and chicken fantasies. Andrea – My chickens free range in the good weather and get very little grain, but at this time of the year they are confined to their drafty coop. With feed.